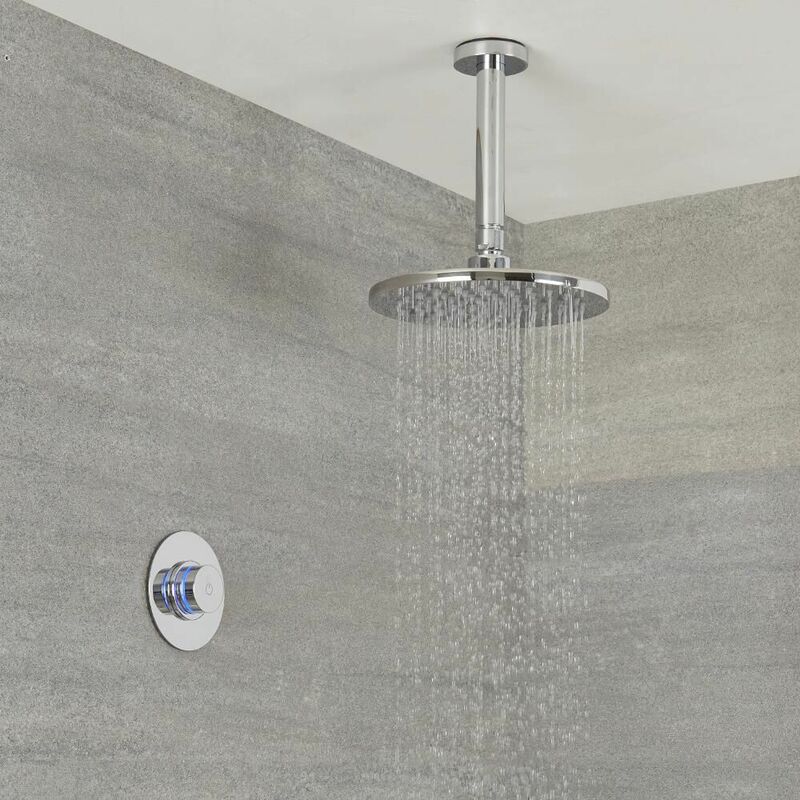 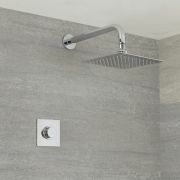 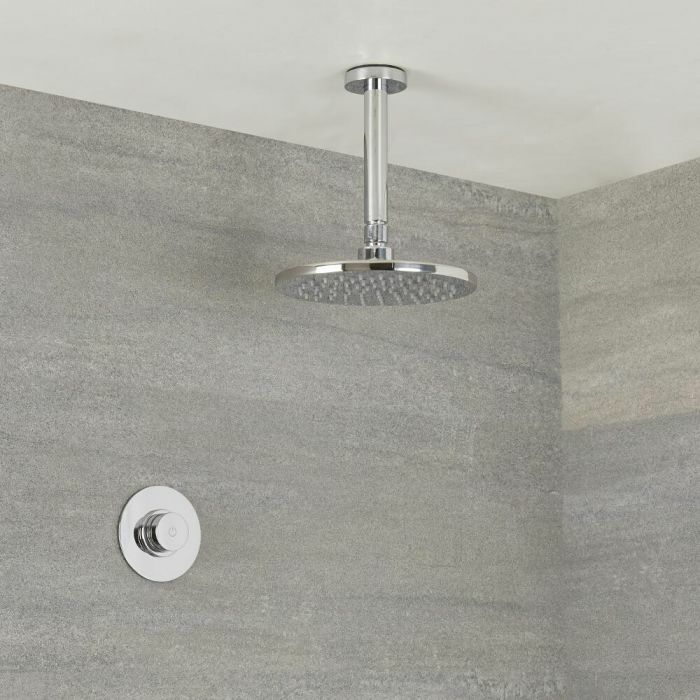 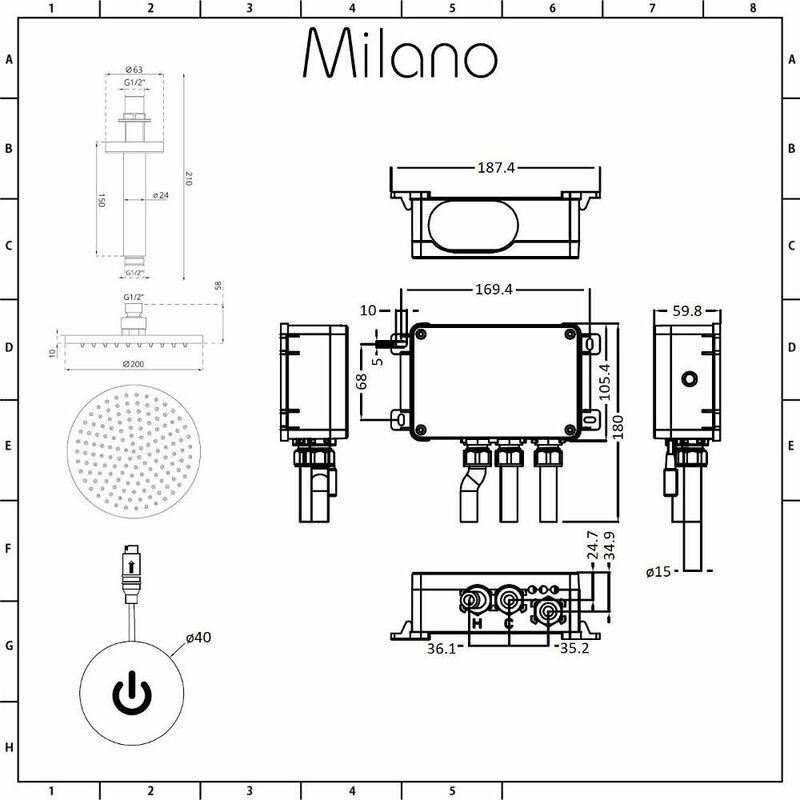 The Milano Vis digital thermostatic shower control and round ceiling mounted shower head will add smart designer style to any bathroom. 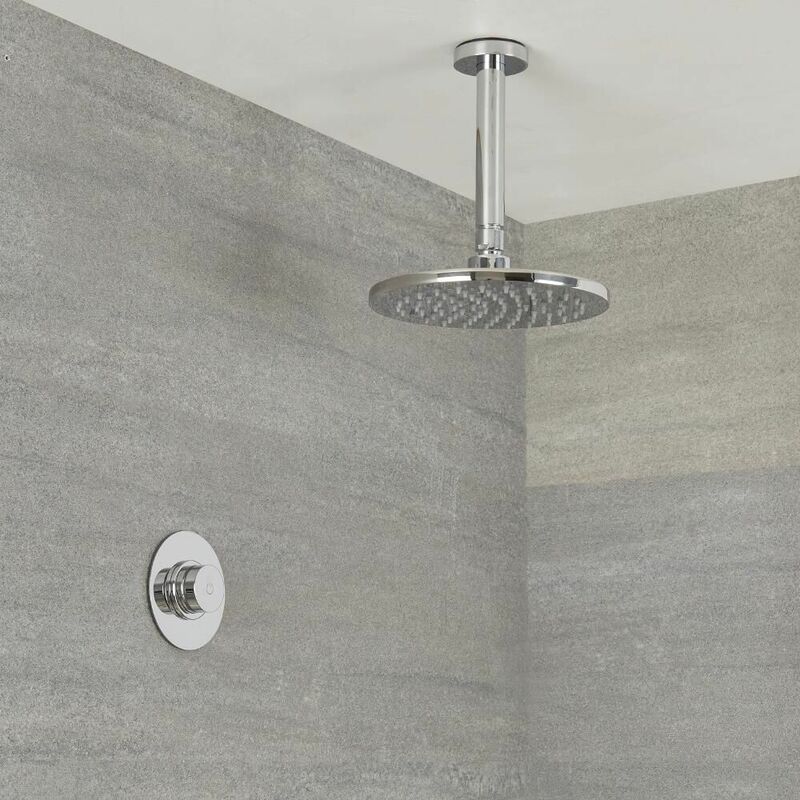 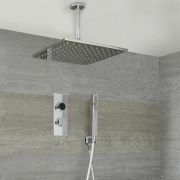 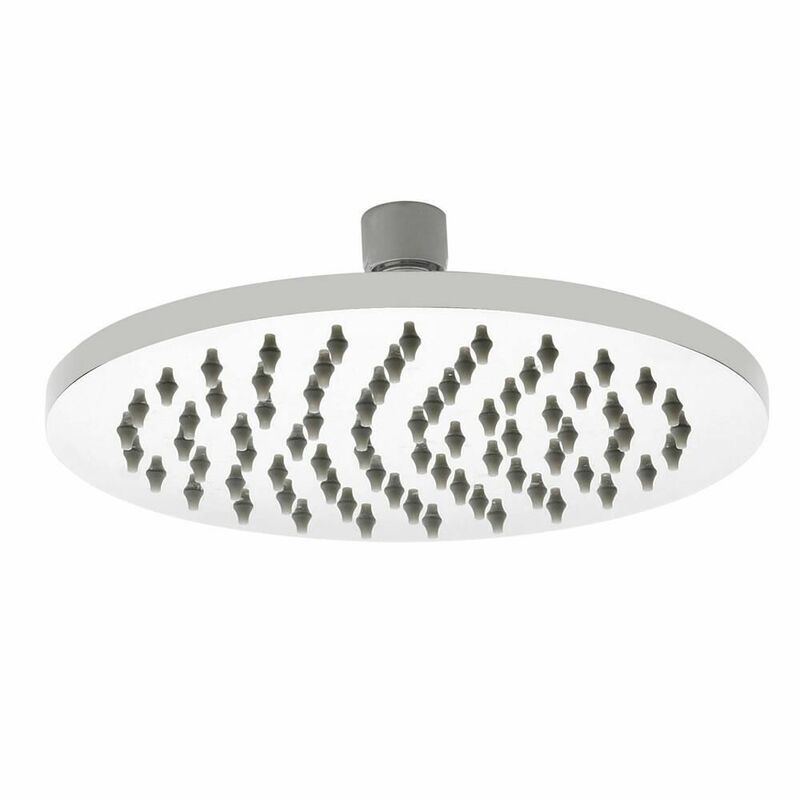 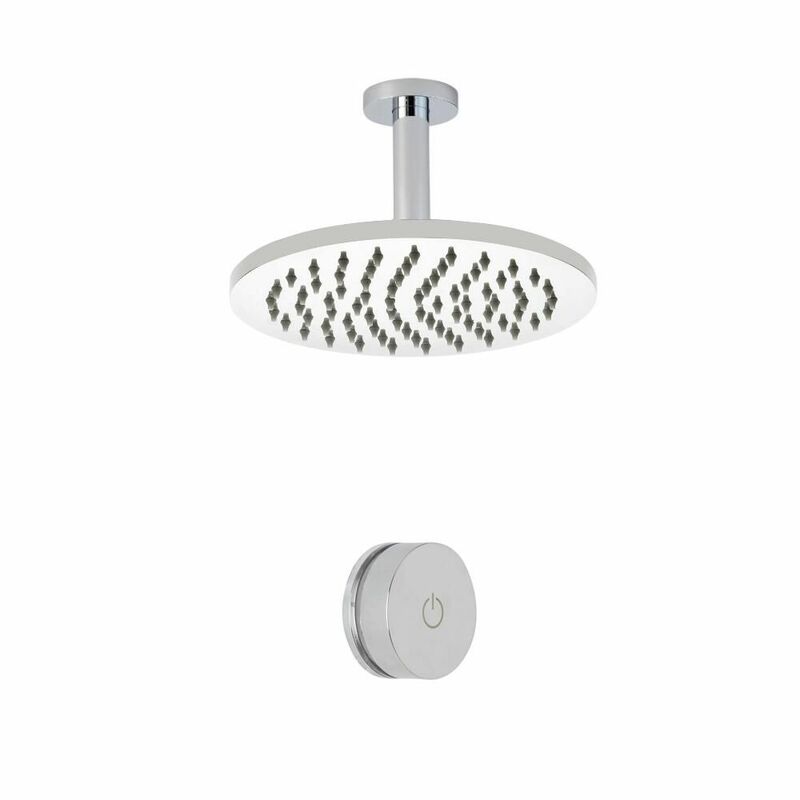 Supplied with the brass arm, the shower head delivers a refreshing rainfall effect. 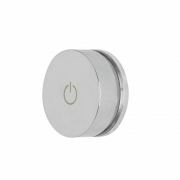 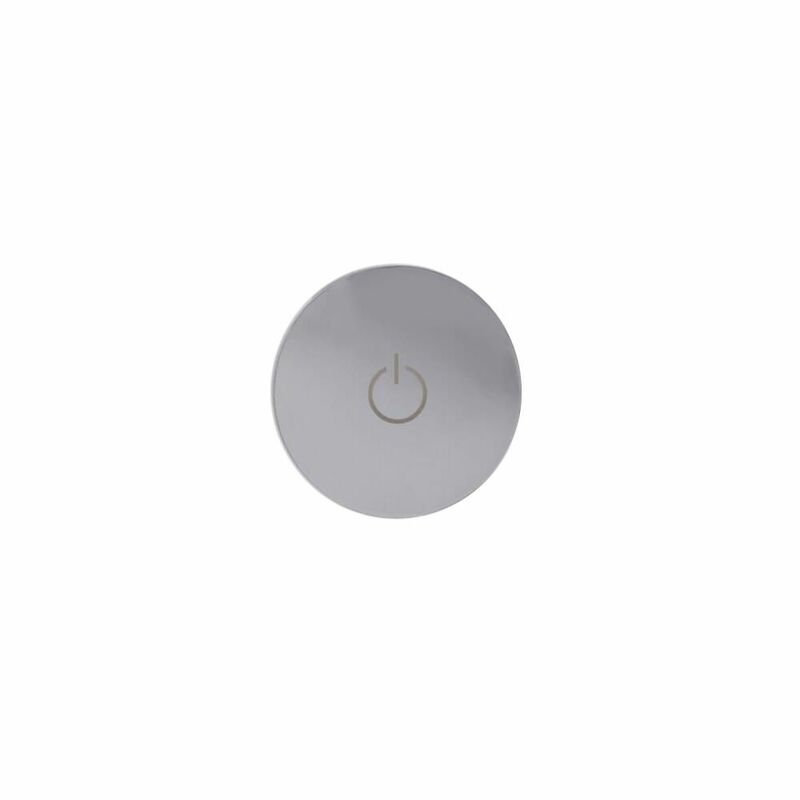 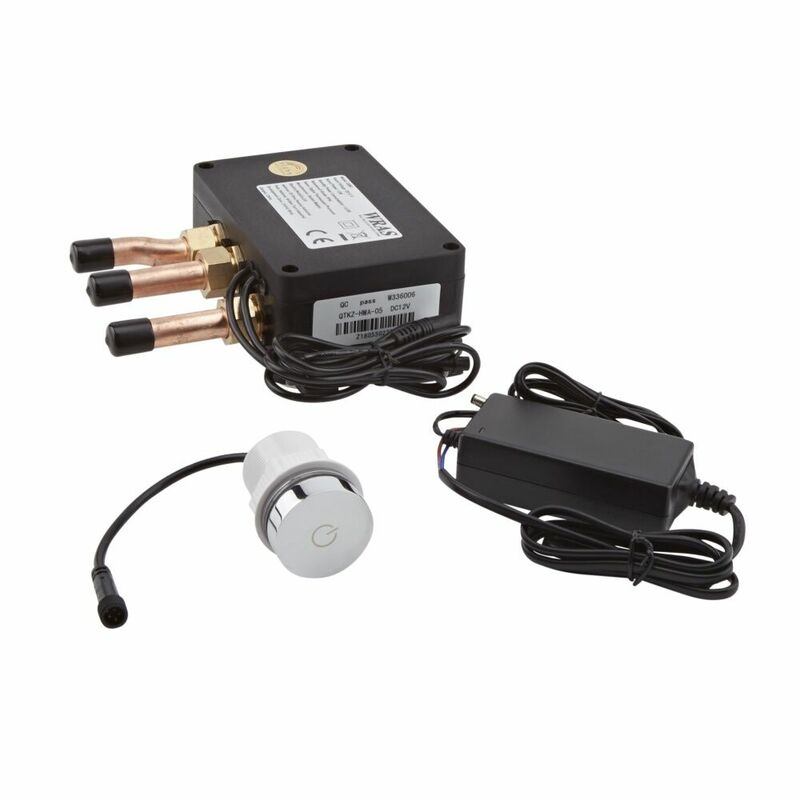 The shower control is easy to operate - simply turn it on and off with the touch of a button, and adjust the temperature by turning the control.